I've recently completed what would be my most detailed commission piece by far. I didn't anticipate just how much time this would actually take me to finish but I enjoyed working on it nonetheless. 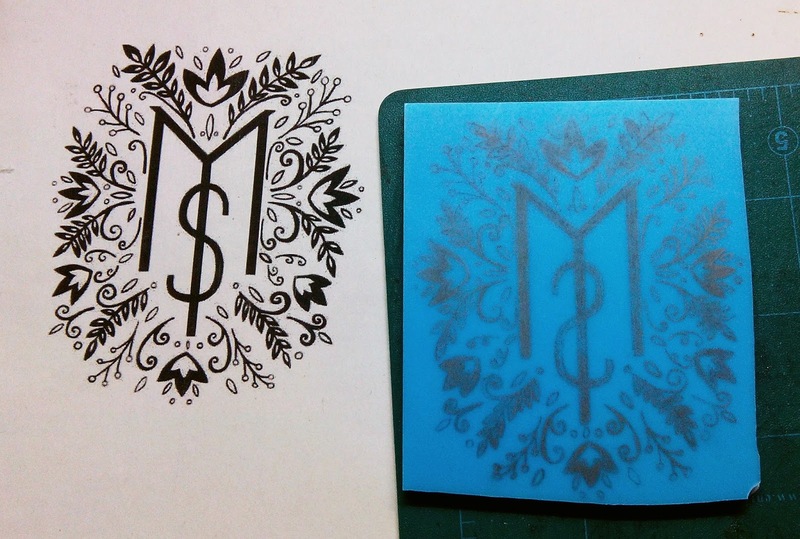 When Mariel sent me her monogram designs I immediately wanted to give it a go. 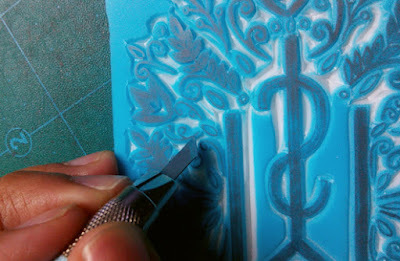 I haven't worked on a large detailed piece in while. 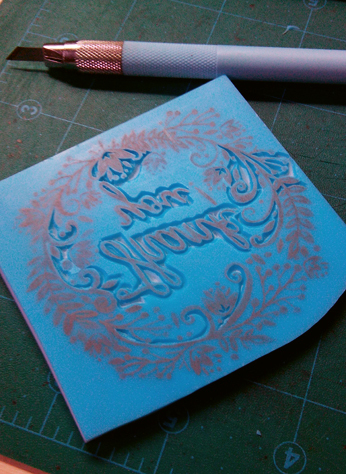 By large, we're looking at roughly 3.5 inches in height and width for each stamp. That's a lot of space for small serious details if you ask me. You can read the back story on her monogram design here. 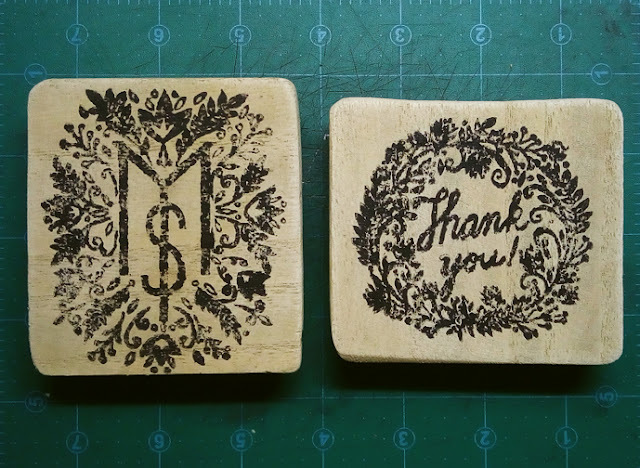 Along with her monogram is a thank you stamp which I personally think is a lovely companion to her monogram. 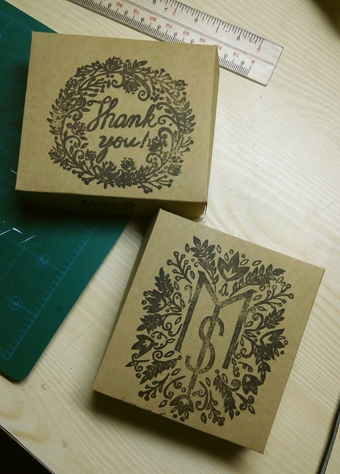 Took me roughly a week to work on each stamp. I enjoyed working on these stamps even if the amount of detail kind of caught me off guard plus mounting big stamps is slightly more difficult than the small stamps I make. 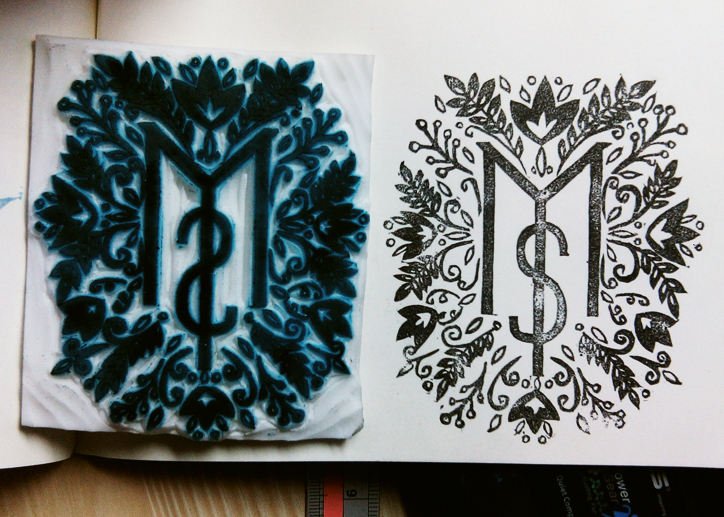 Both stamp designs are by Mariel Ypil. 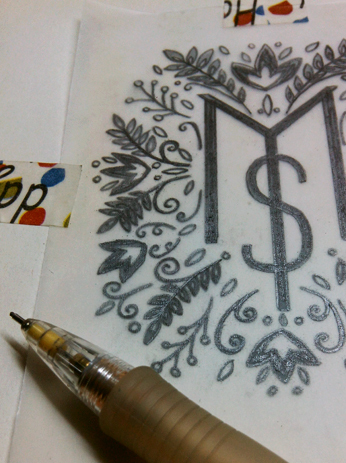 She's a freelance illustrator. You can see more of her works on her blog or shop. 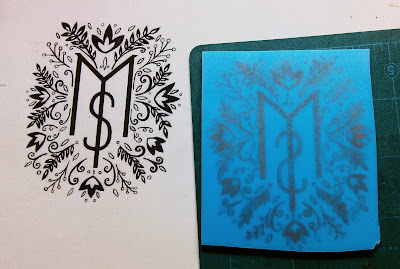 If there's one thing I realized from taking on this commission piece is that I am actually more comfortable taking on commission from clients with their own designs rather than designing stamps for clients. 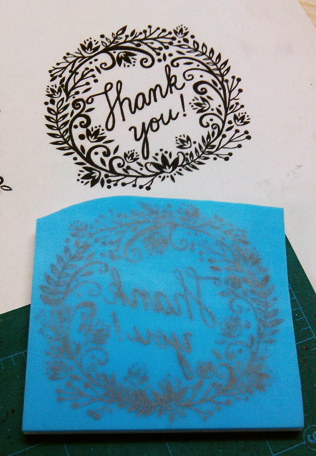 Mainly because I don't charge for my design studies and frankly it's really discouraging to do design stamps for free. What do you guys think? 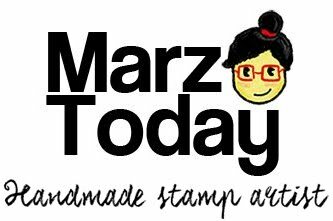 Message me or leave comment if you think charging for stamp studies should demand a separate fee.